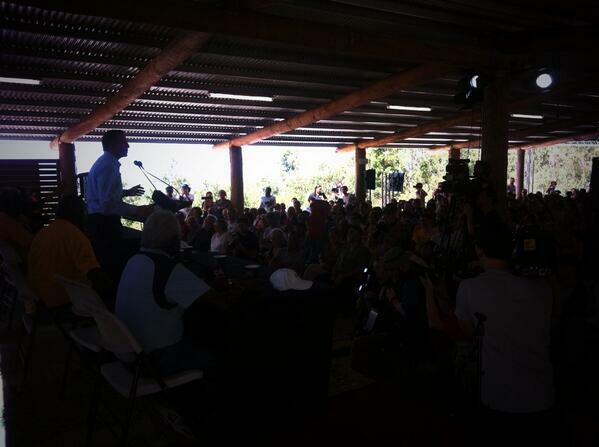 Kevin Rudd press conference at Brisbane’s Botanic Gardens, Rudd talks economic growth, NBN and transport. 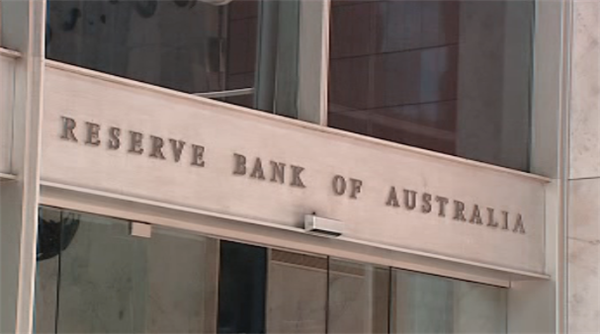 The Reserve Bank cuts interest rates to record low of 2.5 per cent. 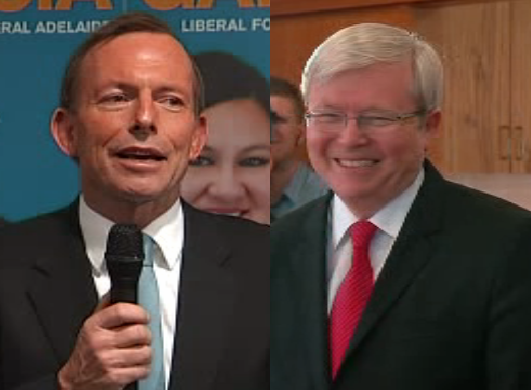 Find out what it means for you and how it will affect the election campaign in Ten News at Five. FLYING HIGH: Media following Kevin Rudd on day two of the election campaign, traveled from Brisbane to Sydney in a RAAF C17 Globemaster. 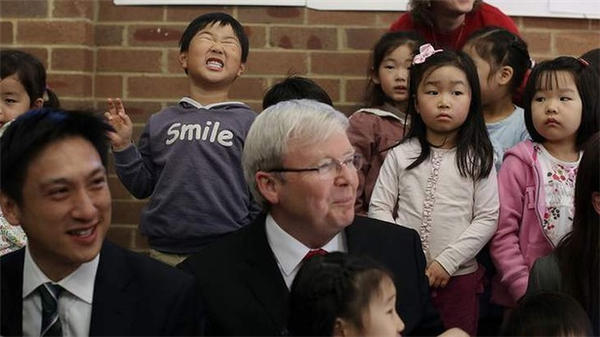 Kevin Rudd visits an English class for Korean migrants in the seat of Bennelong. 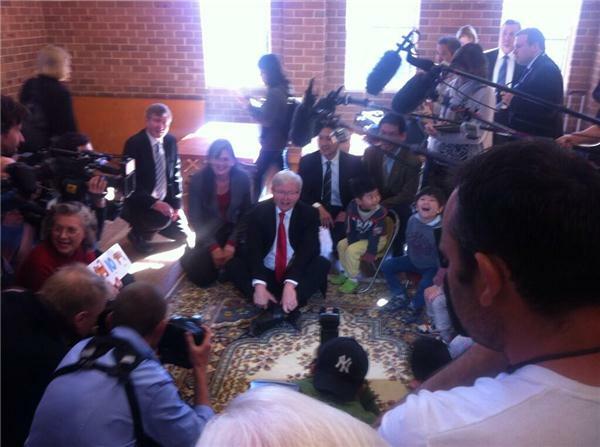 Pre-schoolers teach the PM how to growl like a tiger. 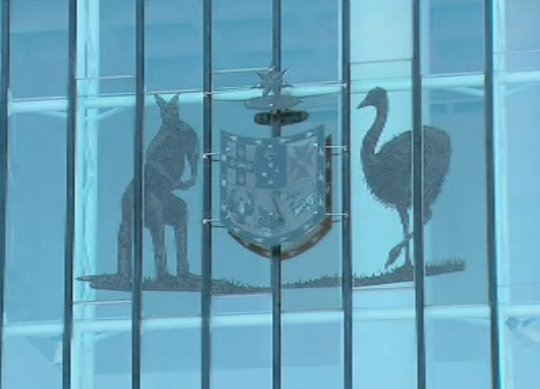 High Court unanimously rejects challenge to mining tax and orders Fortescue to pay costs. 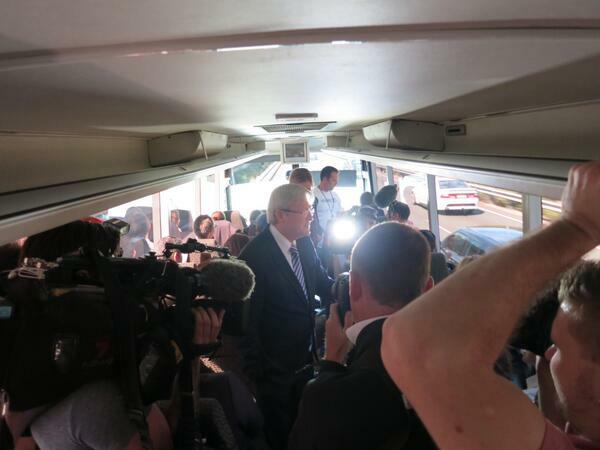 On day three of the election trail, Kevin Rudd campaigns for seats in western Sydney, while the Opposition announces cuts to company tax. 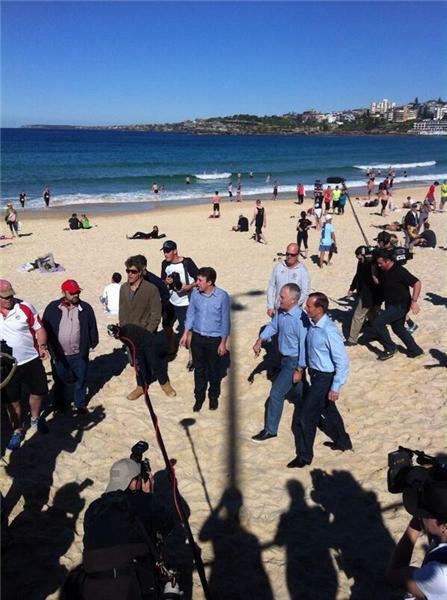 Parents, teachers and school principals are warning voters to be wary of Tony Abbott's backflip over the Gonski reforms. Tony Abbott has unveiled the biggest spending promise of the election campaign so far, a five billion dollar cut to company tax. 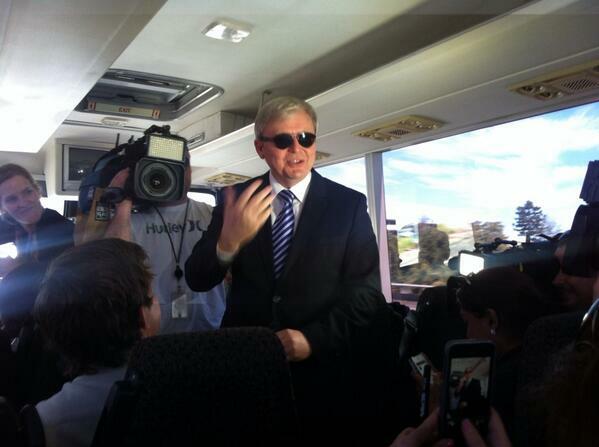 On day three of the election trail, Kevin Rudd campaigns for marginal seats in western Sydney. 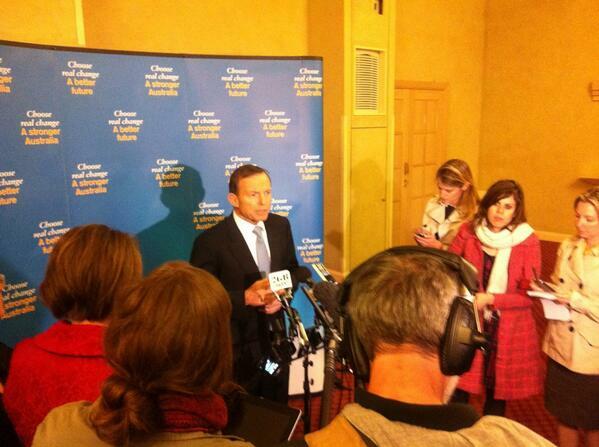 MEDIA RELEASE: The Coalition has no plans to change the GST. 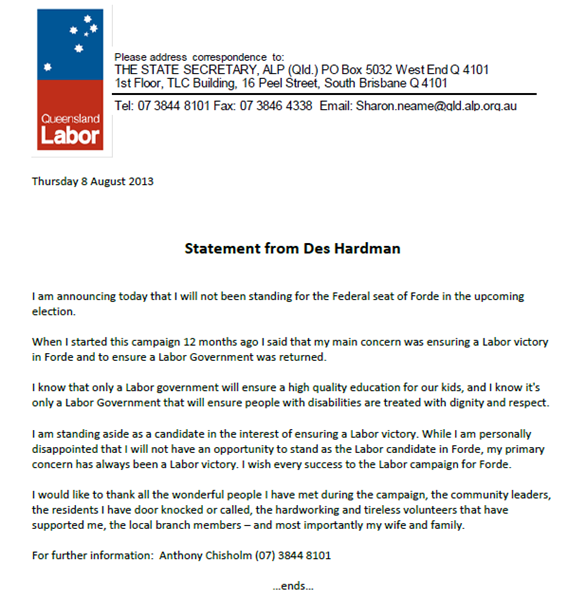 MEDIA RELEASE: Labor reminds young people to enrol to vote. MEDIA RELEASE: NBN failed to meet targets. 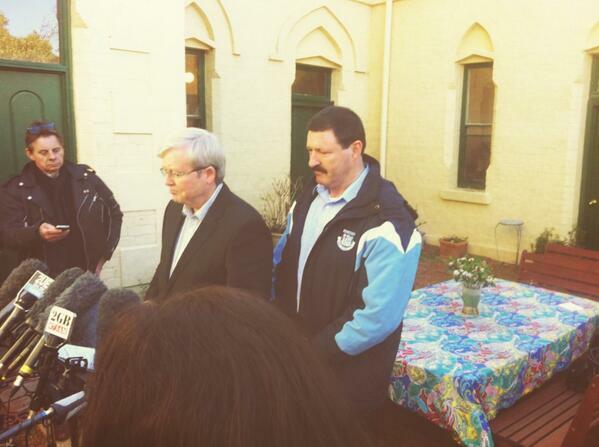 MEDIA RELEASE: Best photobomb ever? 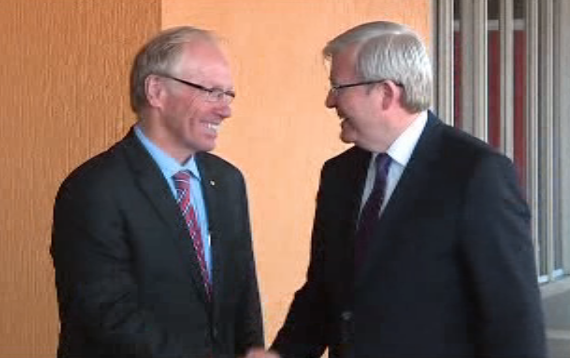 Beattie's back - the former Queensland Premier's dramatic return to politics. 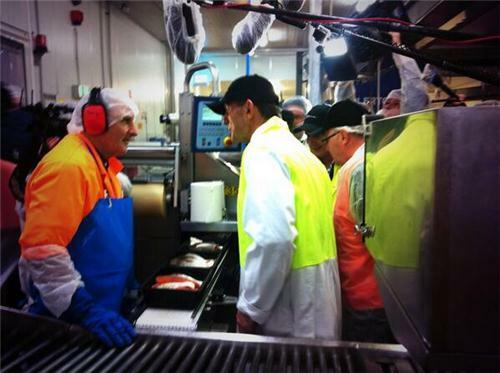 Meantime, Tony Abbott announces a jobs boost for Tasmania, as national unemployment figures are released. Tony Abbott announces a jobs boost for Tasmania, as unemployment figures are released. 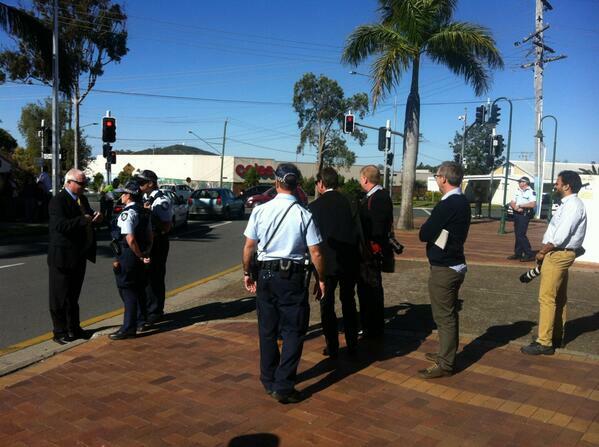 Tony Abbott makes a pitch to the people of Launceston on the future of Tasmania under a Coalition government. 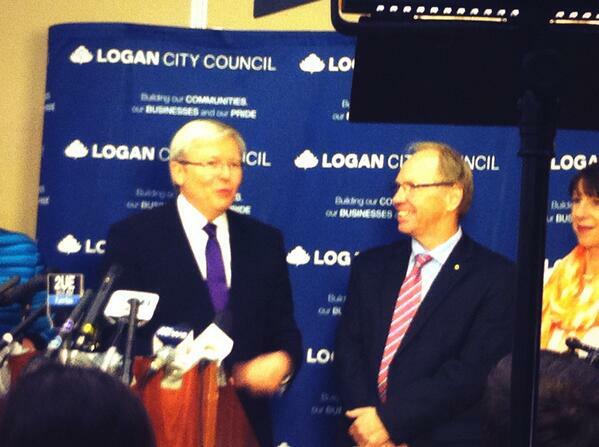 Kevin Rudd introduces former Premier of Queensland Peter Beattie as Labor's candidate for the seat of Forde. I Hate You, Change My Mind: Tom Gleeson and Deputy Leader of the Opposition, Julie Bishop, go head-to-head on TEN's This Week Live. 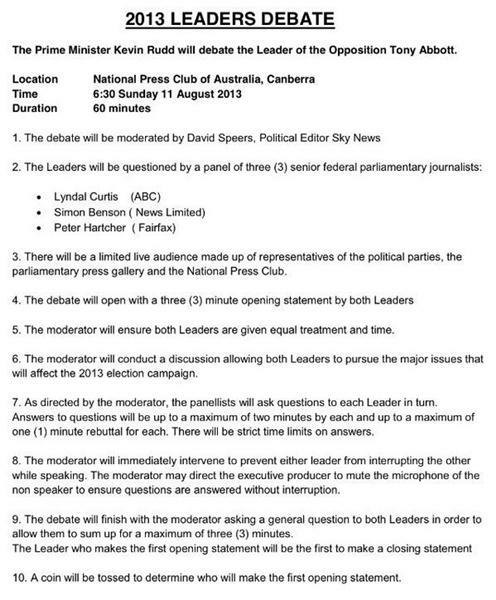 @TwitterAU TEN NEWS SPECIAL: THE LEADERS’ DEBATE. 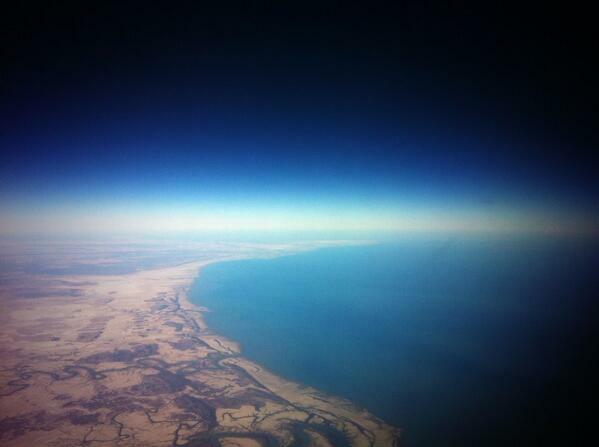 Watch Live @onehd 6.30pm AEST Sunday. 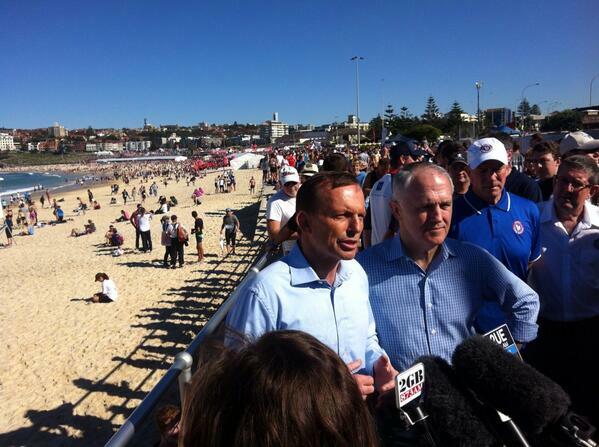 Tweet us whether you #BelieveRudd or #BelieveAbbott . 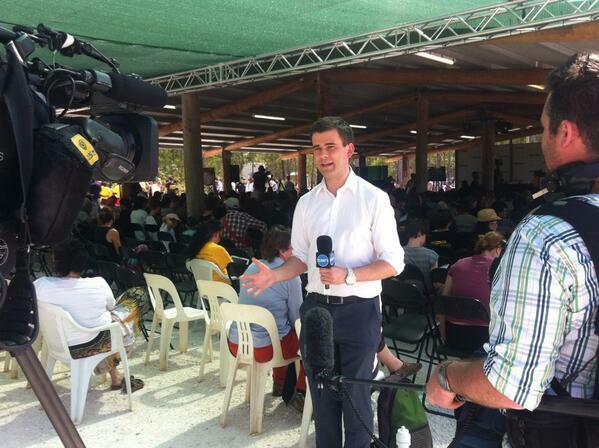 RT @alexhart7: @_AdamTodd is that mic on!? 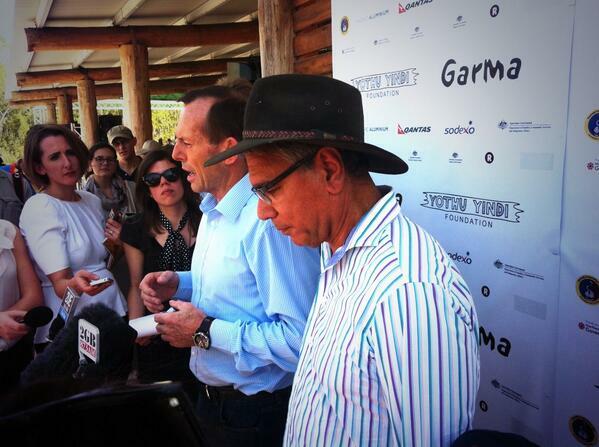 MEDIA RELEASE: The Coalition to establish a Prime Minister’s Indigenous Advisory Council if elected.